Now this is what I call madness. Whaaaaaaaaat!!!! How can this be? 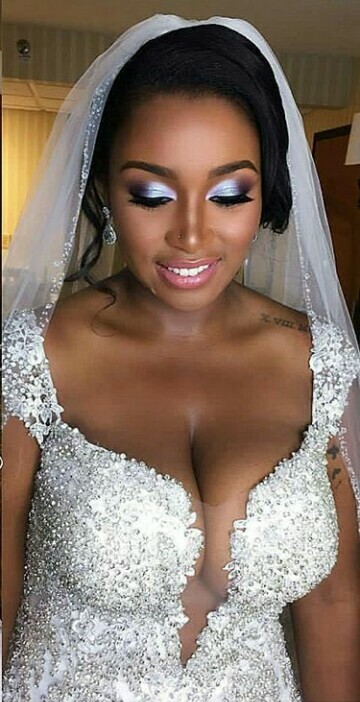 These photos of a beautiful bride has been trending online and on socials and the buzzle is still going on and on and on. How can the groom even allow his wife to wear this kind of thing to a wedding that will be attended by the whole family? Did they meet at the club? Or stripper club? This is disheartening. 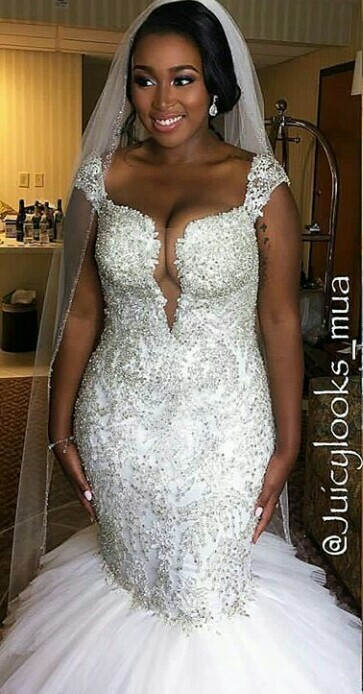 What a wedding dress. I think the end-time is undoubtedly near because this one right here is the height of stupidity. 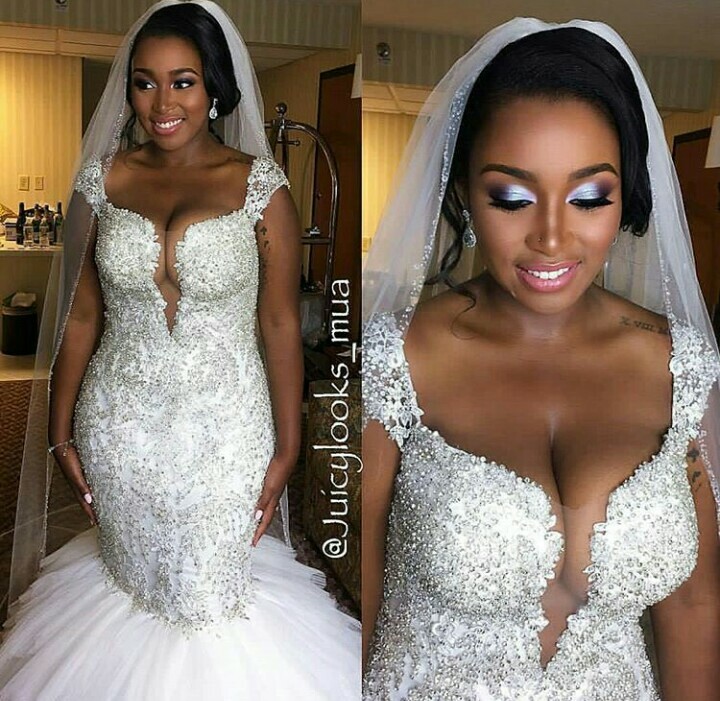 And to even thing a pastor ordained by God will allow this lady inside a church dresses like this, is unfathomable. Can't ladies have a little dignity in their lives? This is outrageous to say the least.